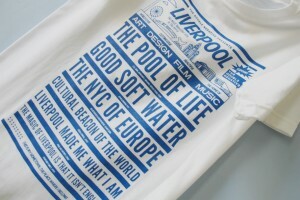 Material: Hand-screenprinted in Liverpool by lo-fi printers In the Room Print Co., and using the no.1 tshirt brand in America, Gildan Men’s Ring Spun, Soft Style Tshirt. 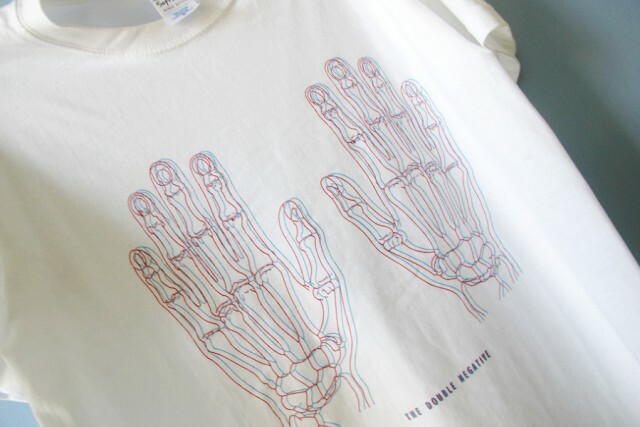 100% cotton with a weight of 155-165gms, the slimmer ‘Euro Fit’ of this tshirt gives it a tailored effect. 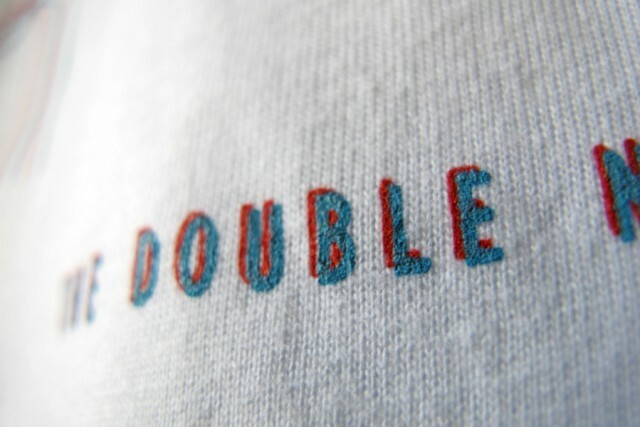 5/8 Rib knit collar with seamless double-needle stitching and twin needle sleeves and bottom hem for extra strength. 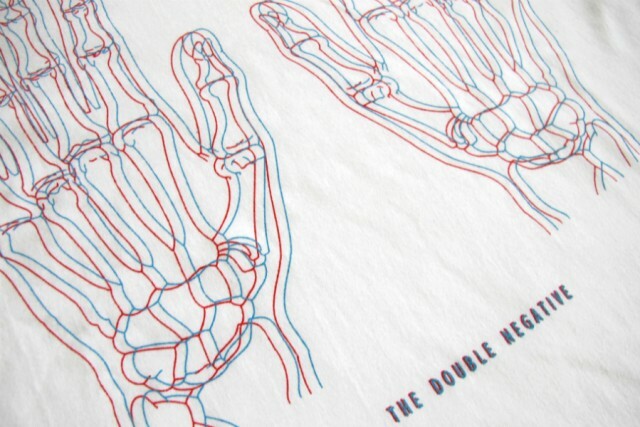 Preshrunk for dependable after-wash performance! 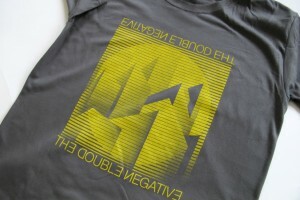 This tshirt has been specially created for The Double Negative by graphic designer Si Ellis. 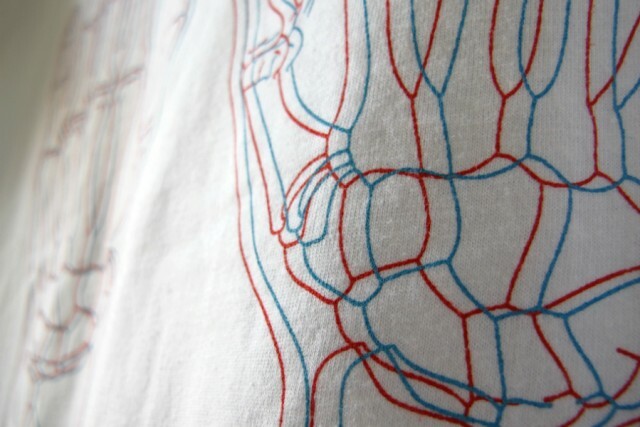 Si, who is based in Liverpool, graduated from LJMU Graphic Arts BA in 2011. 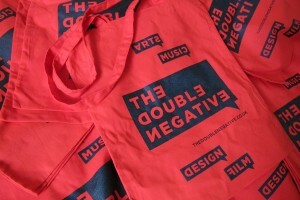 His design uses a crisp ‘hologram’ effect of blue and red ink on white background, to echo our ‘double negative’ name.